This gas giant is known for its huge ring system. It is named after the Roman god of time, wealth, agriculture, and freedom. Due to Greek syncretism, this god also came to be the father of Jupiter and the husband of Ops, but his role is quite different from his Greek counterpart Cronus. He was the patron of the Saturnalia, a festival of feasting, revelry, and liberation. His original wife was Lua. The classical symbol of this planet is a downward-facing sickle, an icon of Saturn's role as the god of agriculture. It is also the alchemical symbol for lead, so inspired because lead is the heaviest classical element and Saturn is the slowest classical planet. This symbol is considered to be composed of two sub-parts: the Saturnian cross to the upper left, and the crook of the scythe. 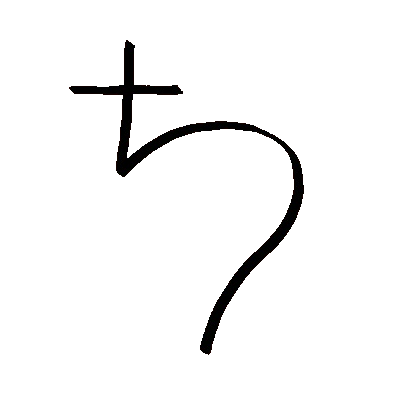 It is represented in Unicode as U+2644, by the symbol ♄. Additionally, Saturn has two ghost moons - moons that were claimed to have been discovered, but never verified by a second observer. They are included here, just in case they are re-observed or their names are re-used.